I was hired as a food photographer for a local food blogger based in Provo. Usually her husband, who is a photographer, will photograph her creations for the blog. However, he was out of town and she needed photographs as soon as possible. It is a good thing I had my camera kit with me. We were able to photograph that same afternoon and I photographed 3 different items that would be featured on her blog. These photographs were created using window light. I have a diffuser in the window to help control the light and keep it nice and soft. We used a wooden table top for the backdrop and the chef/blogger did the styling of the food. She had cooked the items before my arrival so things went pretty quickly. To see the blog post for this garden burger visit this link. 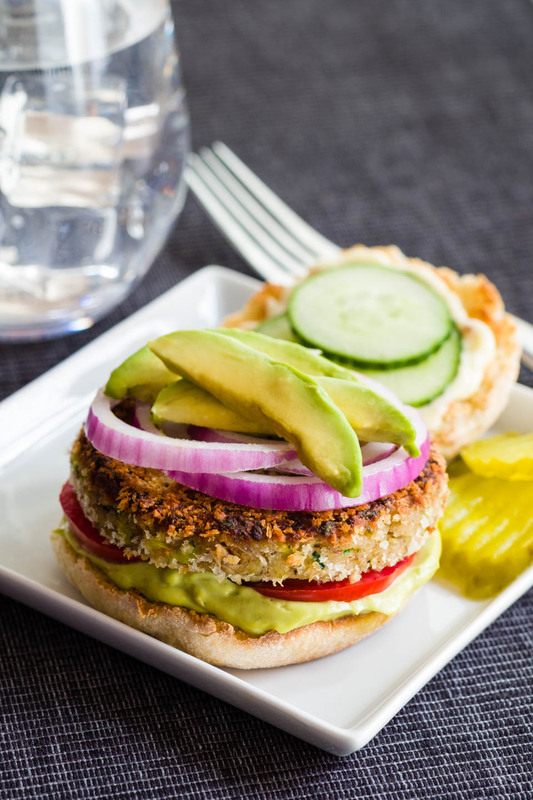 This is the Garden Veggie Zucchini Burger with Avocado Aioli. 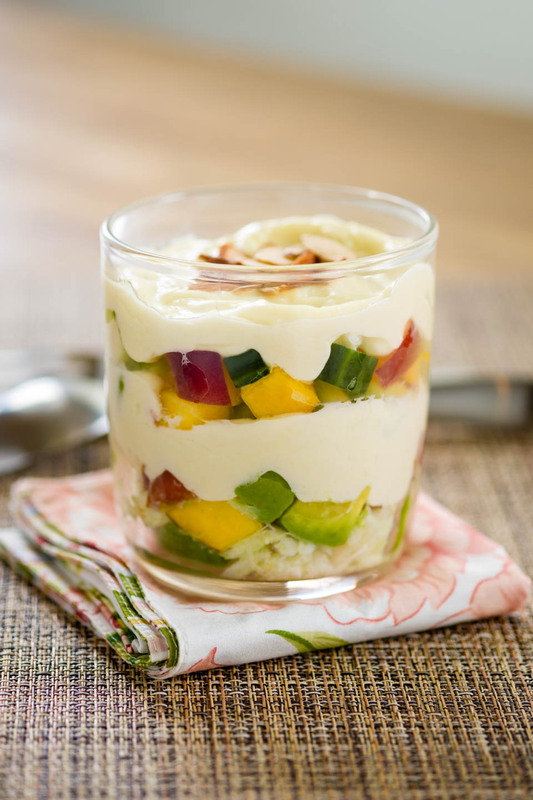 To see the blog post for this parfait click here. 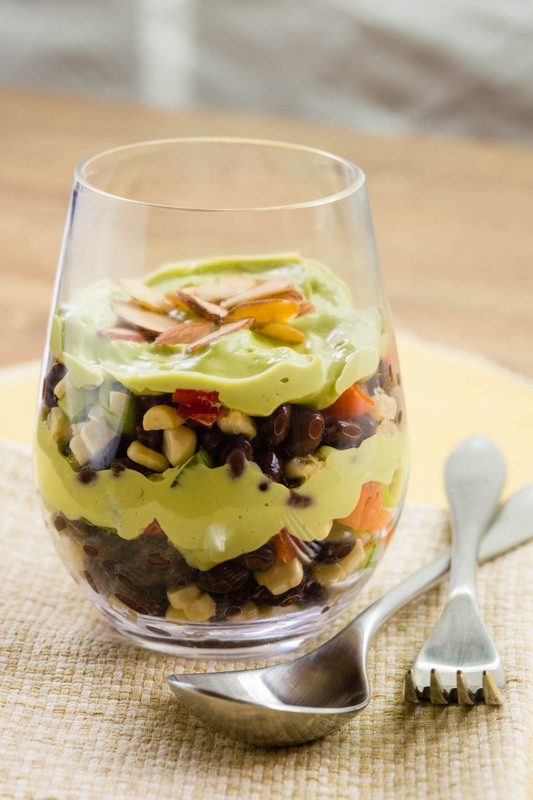 This is the Savory fiesta parfait with avocado cream sauce. I look forward to photographing more food for her again! BTW, she was one of the authors of a burrito cookbook and I did all the photography for the cookbook. I will hopefully be blogging the cookbook soon! So much stuff to blog and share and not enough time in the world, ack! And this was my first paid gig where I used my Fuji X-T1 for all photography. Since this was a last minute shoot that was the camera I had on me at the time. And the camera performed perfectly and the quality of the photos was top notch!